Today at 6.45am, 30 campaigners took to the roads at Aghoos, County Mayo in solidarity with the local community in Kilcommon parish opposed to Shell's Corrib gas project. As with previous days of solidarity, Shell have called off all haulage to both Aghoos and Glengad construction sites for the onshore Corrib gas pipeline. Press statement: Kilcommon Community complains to Mayo County Council about Corrib Gas Project construction and haulage works. 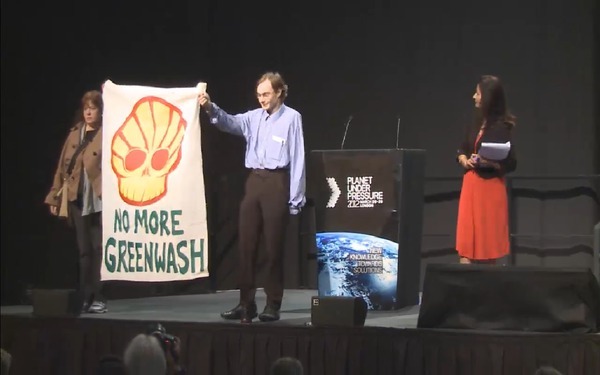 [Shell to Sea] The 7 page community complaint can be read here. On Tuesday , 27th March 2011 a group of residents from the direct vicinity of the Shell construction sites in Glengad and Aughoose and the connecting rural road L1202 handed 104 letters of complaints, signed by 112 persons into Mayo County Council’s Office in Castlebar, Co. Mayo. These letters and signatures were also sent to all political parties, ministers , councillors, the Garda Siochana, the Private Security Authority, and several environmental and human rights organisations. In 2008 a similar number of residents objected strongly to Mayo CountyCouncil’s plans to transform this small, scenic road into a haulage road for Shell’s construction traffic. This represents the majority of directly affected households. 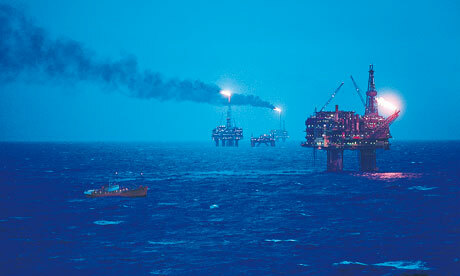 A flare is still burning on the North Sea platform that has been leaking gas for the last four days. 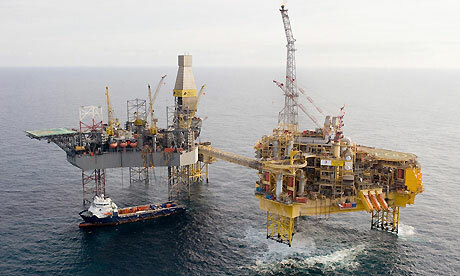 Total, the French oil company that operates the platform, first disclosed that the flare was still burning late on Tuesday night. The wind is blowing the gas in the opposite direction but, if it should come into contact with the flare, there is a high risk of explosion. Gardaí in north Mayo arrested two people, following a “lock-on” protest near the Corrib gas project work site today. A Garda spokesman said that a man and a woman “not from the area” were arrested for public order-related offences and brought to Belmullet Garda Station. They were both charged and released on bail and are due to appear at Belmullet district court next month. Open Letter from Rossport Solidarity Camp to Superintendent Patrick Diskin: Stop stealing our stuff !! !